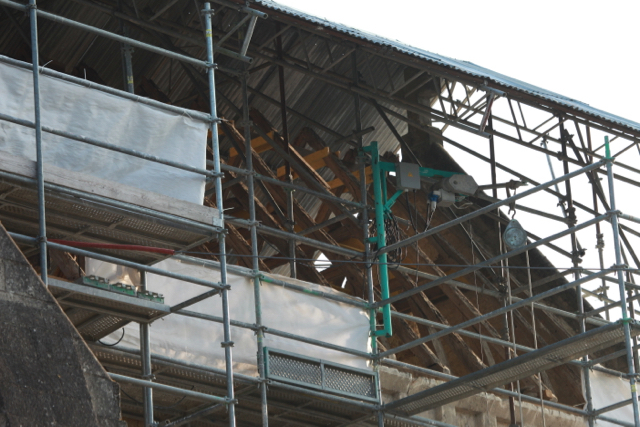 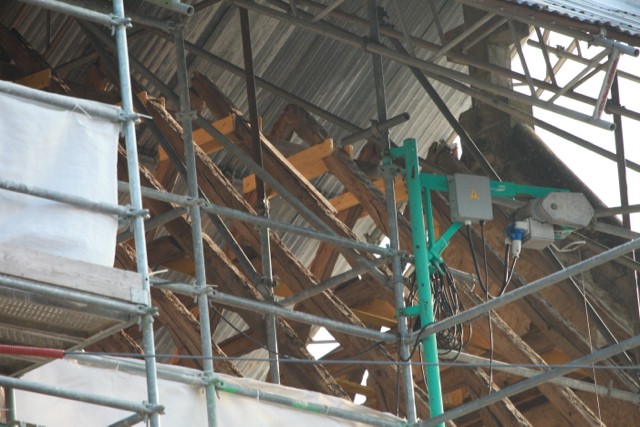 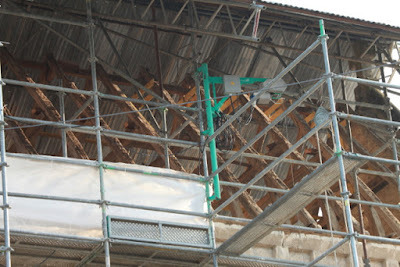 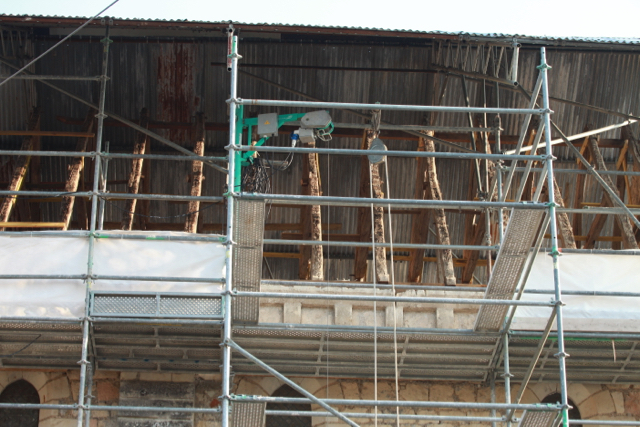 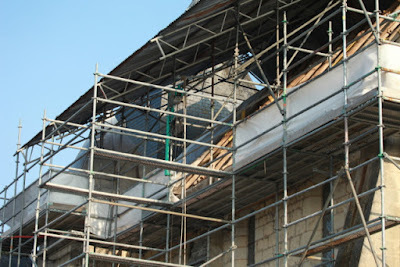 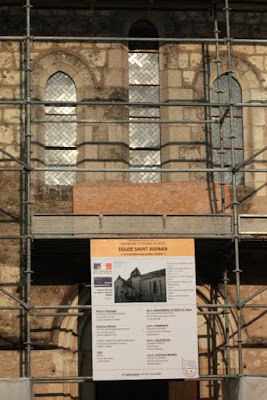 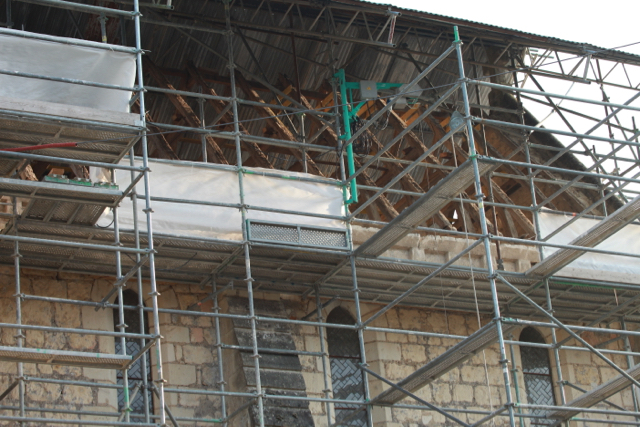 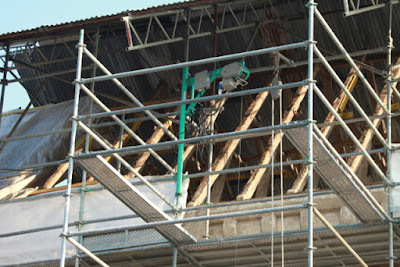 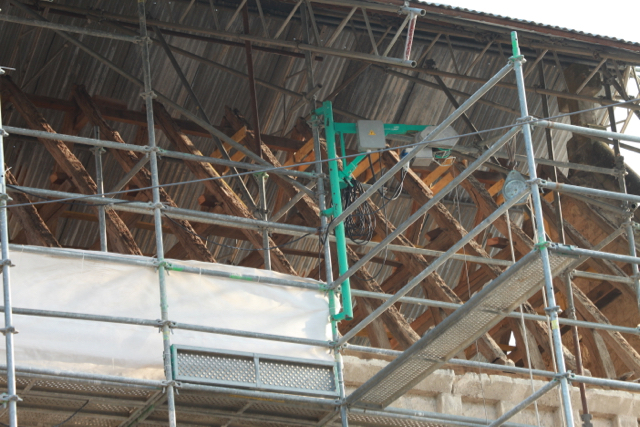 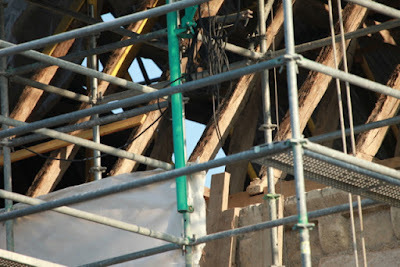 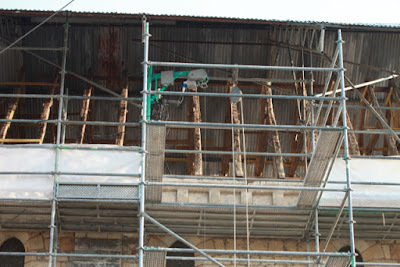 The 11th Century church in the centre of Epeigné-les-Bois is undergoing renovation. 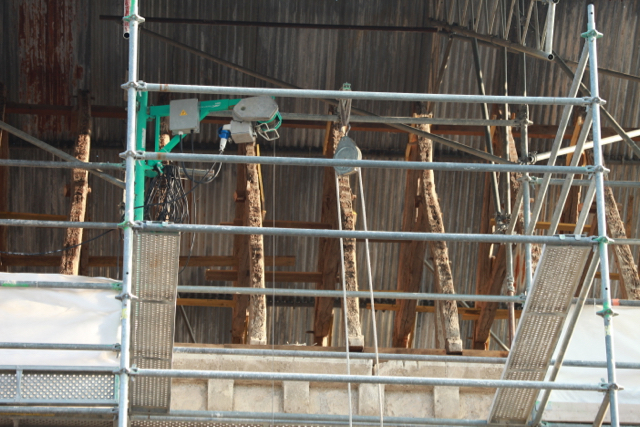 L'entreprise Merlot started work on 4th January 2016. 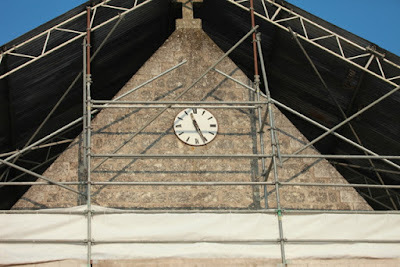 These photos were taken yesterday (12th March). 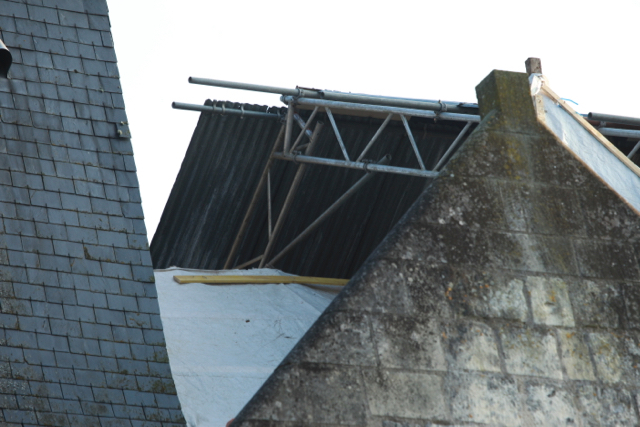 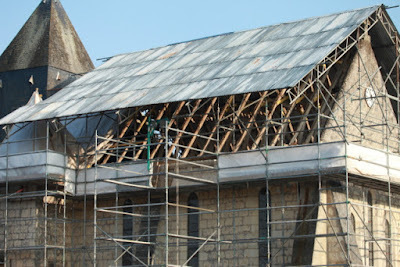 By now the slates have been removed as well as much of the roof timbers, while the bell has been sent to Germany to be repaired. 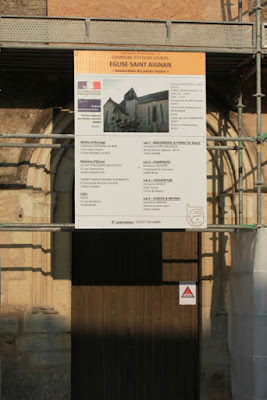 You can follow progress here on the news section of the Epeigné-les-Bois site.